The perennial served as a dye source for Native Americans on the plains. Echinacea are a very popular cottage garden flower. They are native to the prairies of the South Eastern USA. See general tips for growing echinacea here. The flower has a branched and leafy lower part with flower heads which have drooping petals and sombrero-shaped heads. It normally grows to about 1 1/2 feet tall, but an reach 3 ft high. The petals range from dark red and yellow, to all red or all yellow. The brown disk of the flower protrudes up to give it the traditional sombrero effect. The botanical name of the plant is Ratibida columnaris. Mexican hat plant is a perennial. It will come back year after year once established. It is easy to grow from seed.but will not flower until the second year. Divide perennials in spring when young, before they become too woody. This is one plant that likes a bit of neglect, since it prefers dry soil, although good drainage is best. It can grow in both sandy and loamy soil. Can be planted as a prairie plant or in roadside planting since it is drought tolerant. 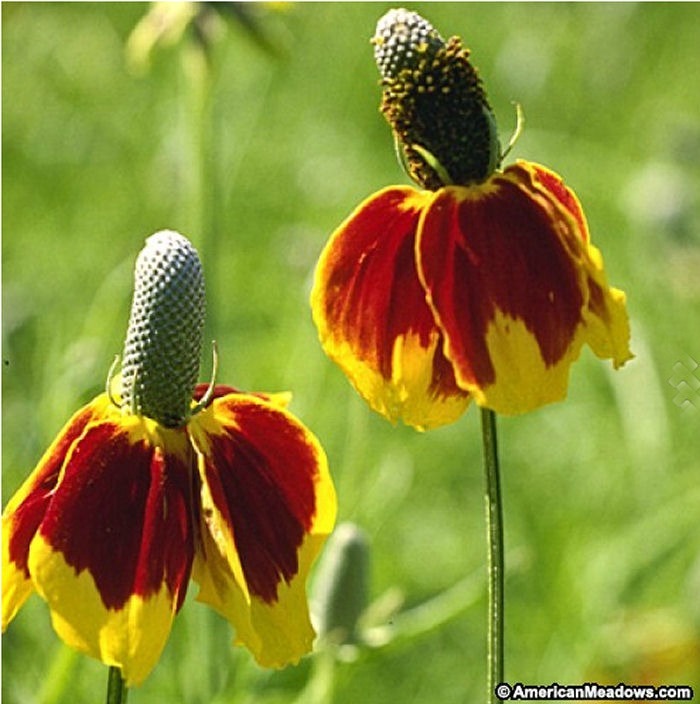 You can purchase Mexican Hat Perennial from American Meadows. Just click on the picture below for details.